The U.K. government announced plans in January to plant a new “Northern Forest” that would stretch across northern England from Liverpool to Hull. 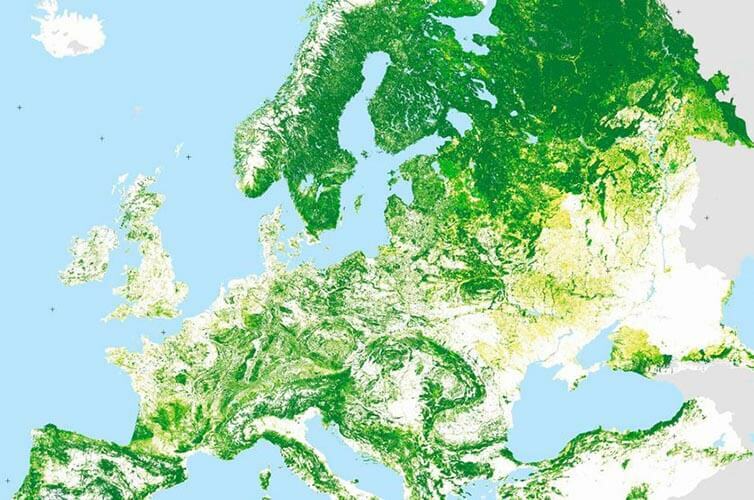 The project aims to plant 50 million new trees over the next 25 years, helping to reforest one of the least wooded portions of Europe. Only eight per cent of northern England comprises woodlands, compared to 15 per cent in Wales and 18 per cent in Scotland. The U.K. average of 10 per cent woodlands pales in comparison to other European countries, such as Germany’s 33 per cent. Initial project funding will include £5.7 million from the national government – a small sum compared to the final estimated price tag of £500 million. The government is hoping that the initial announcement will encourage private landowners to sign up to the project, as well as entice charities and private donors to contribute the majority of the funding. “It’s going to take time to plant the millions of trees that will be needed in order to develop this national forest, so it’s not a short-term thing that’s going to happen, but the commitment is there,” U.K. Prime Minister Theresa May told BBC One’s The Andrew Marr Show. Overseeing the Northern Forest project will be the Woodland Trust, in partnership with the Community Forest Trust. It will be partially modelled after the National Forest, a similar project begun decades ago in the English Midlands. Financial incentives were provided to private landowners to plant forests, resulting in the slow assembly of woodlands that continues today. Twenty per cent of the area is now wooded, with plans to eventually comprise one-third of the total. Advocates for the project point to numerous public health benefits from greater access to nature and cleaner air, as well as carbon sequestration. A northern forest would also provide valuable natural infrastructure, reducing soil erosion and providing some protection for flood-prone cities such as York. The government also estimates greater revenues from tourism in the area, as well as an increase in property values. Conservationists are also hopeful about the return of greater biodiversity to northern England. Organizations such as Lynx UK Trust are hoping that the new forest will provide the ideal location for the reintroduction of species largely driven out of the area such as lynx and beavers.